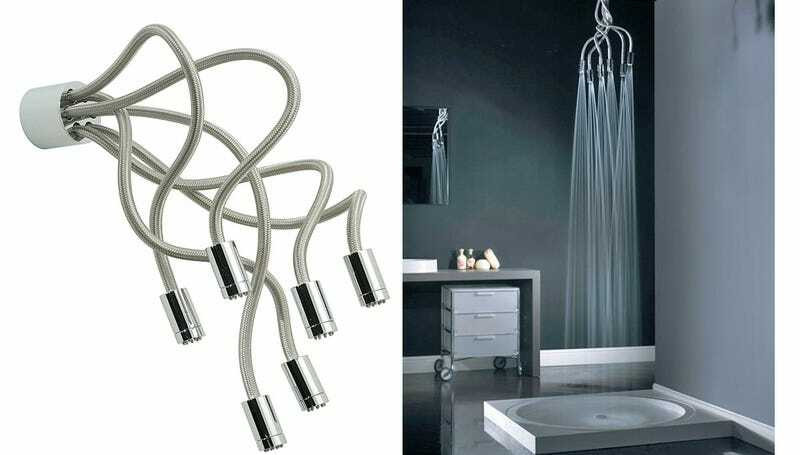 I'm assuming who ever created this tentacle showerhead was inspired by those Sentinel creatures in The Matrix films. That, or Medusa, except that these appendages don't slither or turn you to stone. The Sculpture, or Scu-Head, from Vado can be mounted overhead in a shower stall as is more traditional. But given its articulated limbs that can be repositioned to direct the flow of water in multiple directions, I think it would be far more useful installed a little lower so you can use it to reach and clean spots you normally couldn't.